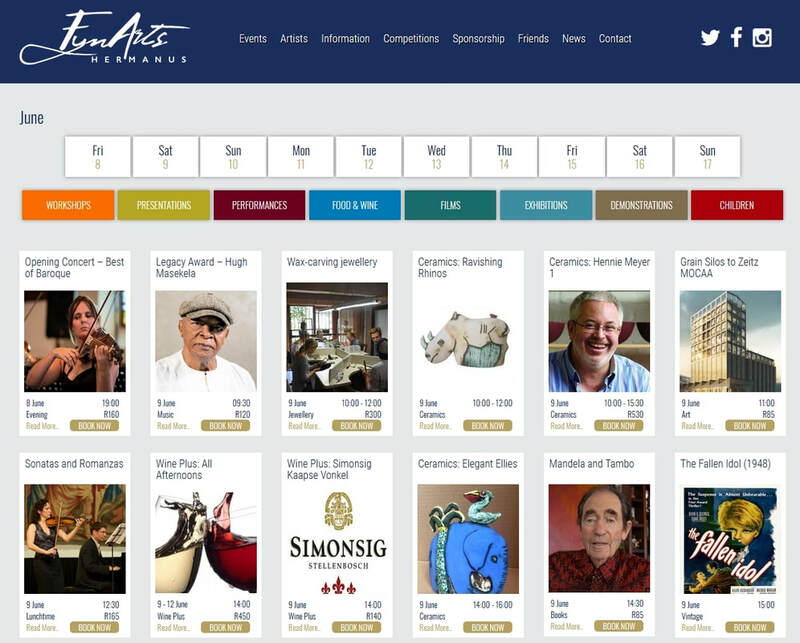 The venues for Hermanus FynArts showcase the wide range of what Hermanus has to offer, from local art galleries and church halls in the town centre to wine farms up the Hemel-en-Aarde Valley. 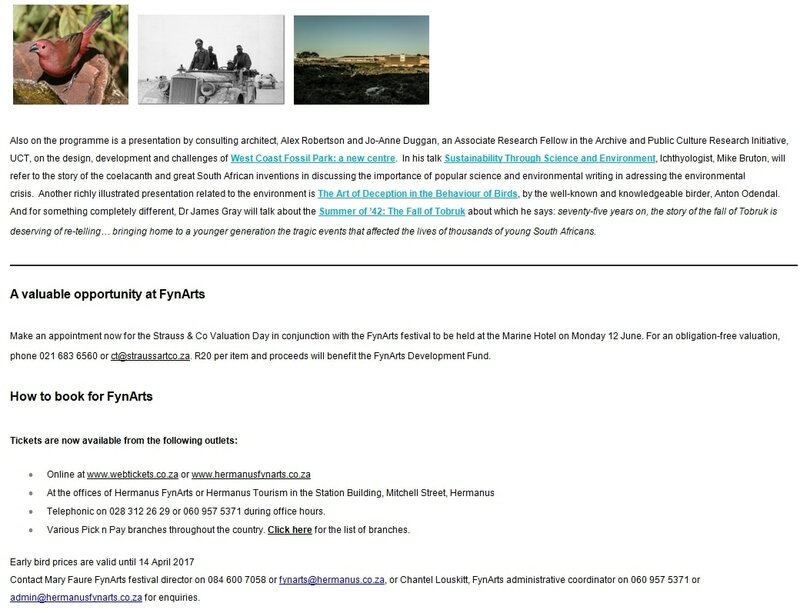 The 2015 innovation of acknowledging the contribution of one country to the arts as well as to the South African way of life will continue through the 2016 programme. 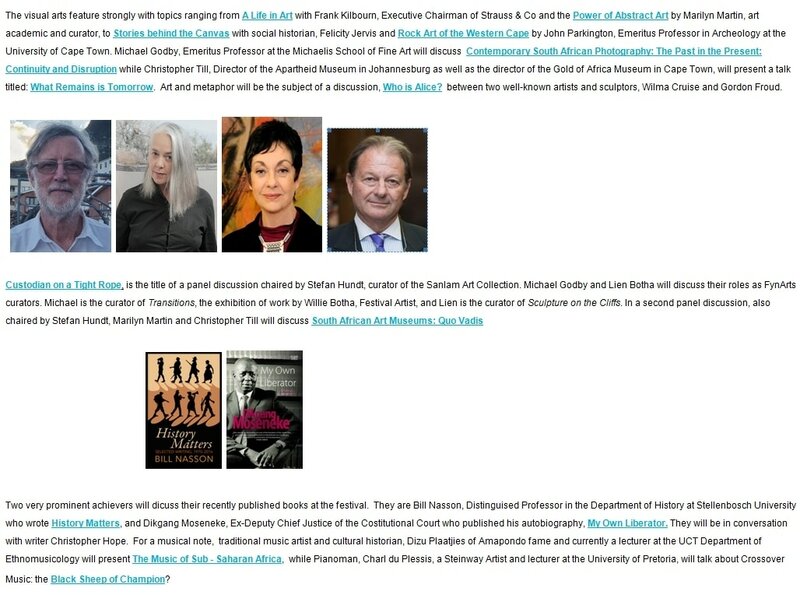 French will be the fine thread that runs through the events, from talks to demonstrations; from art to food and wine; and from the contribution of individuals and milestone events. Celebrate local art with twelve mind-blowing days jam-packed with exhibitions, workshops and performances. 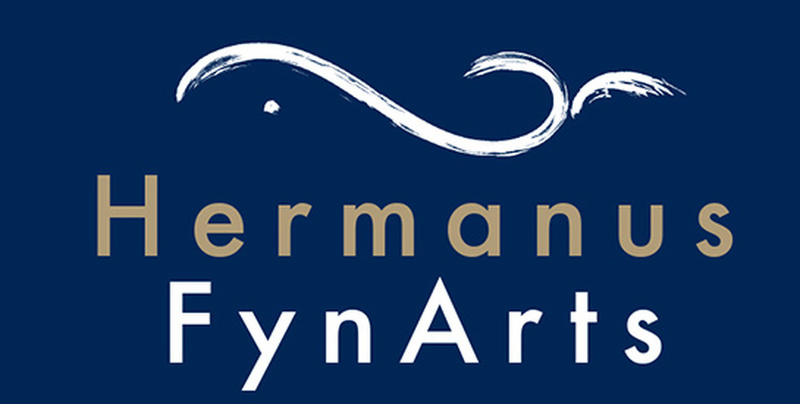 Hermanus FynArts 2015 will once again bring you an eclectic mix of arts, with a focus on the visual arts – exhibitions, films, music recitals, concerts, talks, workshops, demonstrations, tastings and pairings, dinners and more. 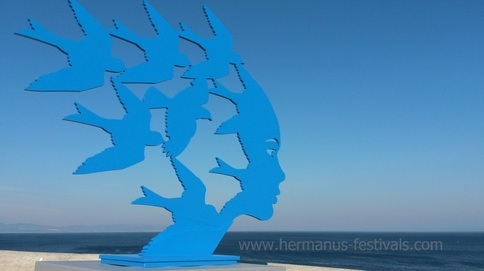 In addition to a long line-up of new faces, as well as those we will welcome back to Hermanus, expect a couple of new and exciting twists to the programme. 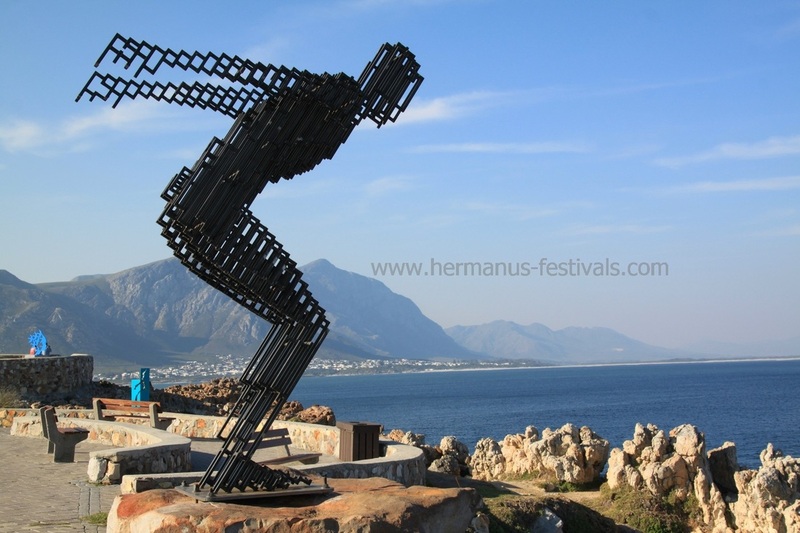 In recognition of the diverse origin of immigrants and their contribution to the South African way of life and the arts scene, future Hermanus FynArts festivals will include a fine thread that runs throughout the festival and connects the eclectic mix of South African arts to one other country. In 2015 the first of these associations will be introduced with the Italian Connection. This means that the programme will include a number of events that acknowledge Italy and Italian culture: art, music, food and wine.  Other events that you will hear a lot more about are a Pop-up Festival Kitchen with twice daily demonstrations, a music premiere and a gala dinner to be held at the magnificent Bona Dea – a brand new events venue on an orchid and protea farm in the Hemel en Aarde Valley. 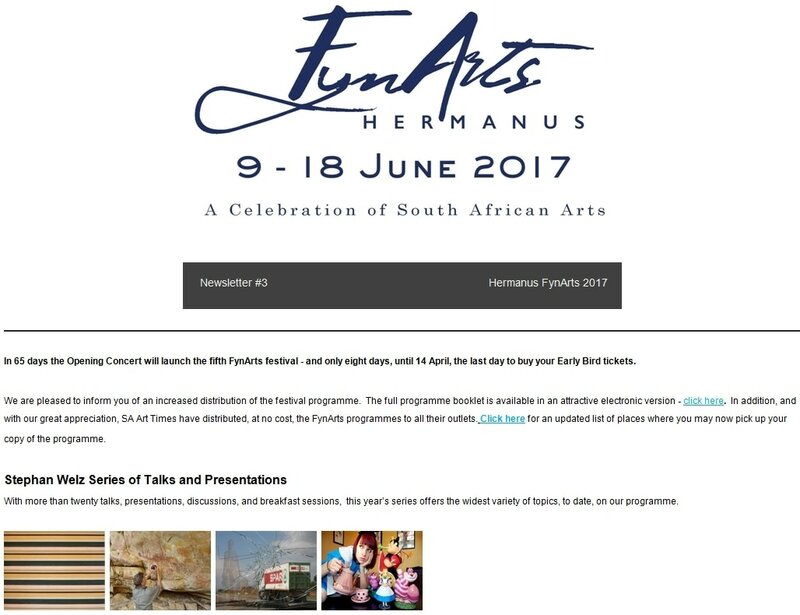 Tickets for Hermanus Fynarts are available online via www.webtickets.co.za - and events are priced and ticketed individually. Go to www.hermanusfynarts.co.za for programme scheduling and details.